Cape Town – A contraction in GDP for the first quarter of 2018 is expected, but it won't completely derail growth forecasts for 2018, according to an economist. 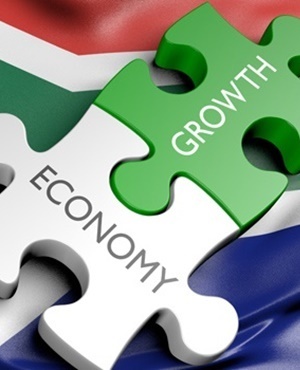 Statistics South Africa will release GDP results on Tuesday. In a market report FNB Chief Economist Mamello Matikinca said that the contraction is usually expected in consumption-driven economies, especially off the back of a high base set in the previous year. “As we have communicated in previous weekly publications, we expect a 1Q18 GDP contraction of approximately –1% q/q,” she said. Growth in the agriculture sector is viewed as a “wild card” and the double-digit growth recorded in previous quarters may not be sustained, Matikinca warned. “Our calculations suggest that a small contraction in GDP will not derail our 2018 growth forecast of 1.9% as the quarterly year-on-year number will remain positive. “We would have to see a contraction of more than –3% q/q for us to consider revising our full year number lower,” she explained. May vehicle sales data released on Friday by the National Association of Automobile Manufacturers of South Africa reflected a recovery of 2.4% year-on-year. However Ghana Msibi, WesBank’s executive head for sales and marketing, said the recpvery should not be interpreted as growth. “Total sales over the first five months of 2018 are 1.6% down compared to the same period last year. “A total of 220 783 new vehicles were sold in the first five months of this year, compared to 222 433 in the corresponding months last year,” Msibi said. Ahead of the vehicle sales data release Matikinca said that 4% growth for the sector in 2018 is the consensus. “Easier credit conditions, low vehicle price inflation and accommodative monetary policy should be enough to push growth higher,” said Matikinca.